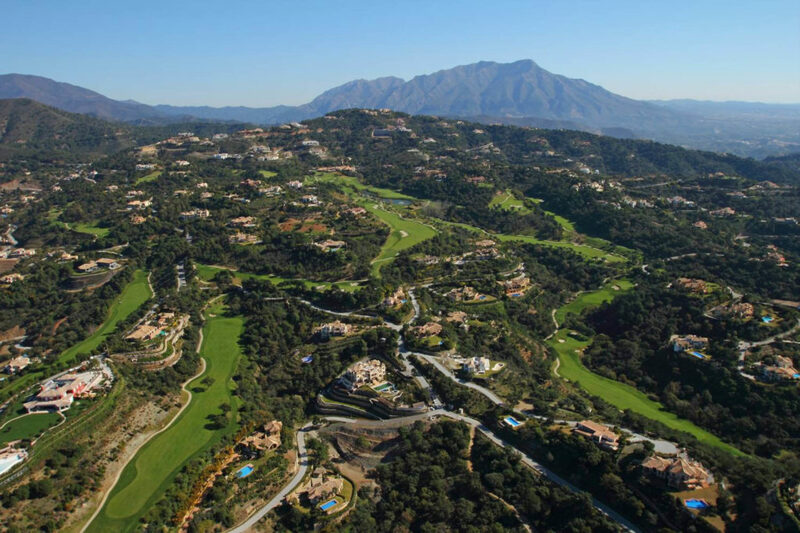 La Zagaleta Country Club is situated in one of the most beautiful areas of The Costa del Sol, only a few kilometers from Marbella, and 60 km from Malaga airport by motorway. The exclusive country club offers a high level of security and privacy, and numerous private facilities for the exclusive use of La Zagaleta’s Club members and their guests. Our member-owners can enjoy for their own exclusive use, the 18-hole private golf course, one of the best in Spain, which blends into its surroundings and has spectacular views of Gibraltar and the North African coast. Furthermore, a second 18-hole private golf course was inaugurated on 1st April 2007. La Zagaleta enjoys quiet and natural surroundings. Here you can buy exclusive properties, such as impressive individual villas, as well as plots to construct your own house. La Zagaleta has made sure that the plots, of 3000 to 10 000 square meters, are all in spectacular locations and have stunning views. Each plot is separated by a minimum of green zone, allowing freedom of movement to all the local wildlife like deer and “muflon”, a type of wild goat. The developers have gone to great lengths to ensure that the environment and its flora and fauna are equally protected, ensuring as far as possible that they are not affected by the development and building work on the 420 plots, which represent a low percentage of the estate’s total area. La Zagaleta exclusive properties are a harmonious blend of Andalusian architecture, traditional interiors, old doors, marble and wooden floors, luxurious bathrooms, all perfect down to the last detail. Our houses are equipped with zone control underfloor heating, air-conditioning, as well as state-of-the-art materials. The gardens are beautifully landscaped featuring spectacular pool designs. Have you own vision of your ideal home? Than build your dream home on beautiful La Zagaleta plots with fantastic settings and views. Amongst the private facilities members can enjoy, the 5,000 square meters Club House stands out, including a pro-shop, restaurant, bar, swimming pool, billiard room, bridge room, function room, tennis courts etc. Undoubtedly one of the most prestigious country clubs in Europe, it also offers an operative heliport recognized by the Civil Aviation Authorities. The private equestrian club is truly exceptional. Members can ride Spanish and Arab horses, while ponies are available for the children. If the member is a horse-owner, there is the possibility to leave the horse in the care of the Club’s stables. Members can also learn to ride with a personal instructor. (3 hours), tennis and hiking. At La Zagaleta, only the best will do. Come and see for yourself: it’s without doubt one of the most beautiful estates in Andalusia and in Europe. Let us help you find your dream home in La Zagaleta and contact us today!